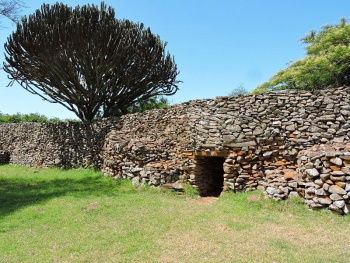 The Thimlich Ohinga archaeological site comprises 4 larger fortified settlements that are the best-preserved examples of pure dry stone building in the Lake Victoria Basin. The dry stone wall enclosures incorporated homesteads, livestock and craft industries. They were founded by the early pastoral communities of the Lake Victoria Basin from the 16th century CE.